I'll never forget one of my first job interviews out of college. I was applying for a marketing position at a technology company. (No, not HubSpot.) Because my college major had nothing to do with marketing or technology, I'd written "Relevant coursework: Statistics" in the education section of my resume in an effort to draw a connection. When I came in to interview, everything was going great -- until I met with one of the company's VPs. He sat down, turned my resume over on the table in front of him, scribbled down an advanced statistics question, and pushed it across the table to me. Let's just say it'd been a while since I brushed up on my statistics. I ended up reasoning my way through the problem, but it wasn't a piece of cake -- and I was stressed as heck. I learned an important lesson that day: Never put something on your resume you can't back up 100%. That, my friends, is just one of the many things recruiters hate to see on resumes. Every recruiter has their own list of things they don't like to see on resumes, and you never know who's going to see yours. That's why it's important to avoid all the most common resume mistakes. 1) When you send it in a Google Doc, and then don't grant proper permissions. Before you send your resume to a recruiter, you need to convert it to a format that allows all recipients to read it as intended. Ideally, this means converting it into a PDF format so none of the original formatting or spacing is lost in translation. 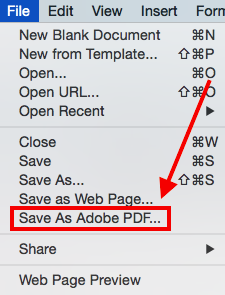 You can convert a Microsoft Word document into a PDF by choosing File > Save as Adobe PDF. If you have to send your resume over as a Google Doc, at least grant the recipient proper permissions to view it by clicking "Share" in the top-right corner of your Google Doc, entering in the email address of the people you want to include, and choosing "Can view" from the dropdown menu. Or, you can let anyone read it by clicking that "Share" button and then choosing "Get shareable link" at the top. Then, choose "can view" from the dropdown menu and send that link to the recruiter. We recommend a PDF format, though. It's much more professional. 2) When your email address is "soccergrl0721@yahoo.com." There's a lot you can tell about a person from their email address ... and you don't want this to be how the recruiters find out you like soccer. Outdated names can be a red flag, especially for tech-savvy companies. In the same vein, if you're still using a Hotmail, Comcast, Yahoo!, or AOL email address, it's time to upgrade. If you need to, set up a separate email for your job hunt that's some iteration of your name. 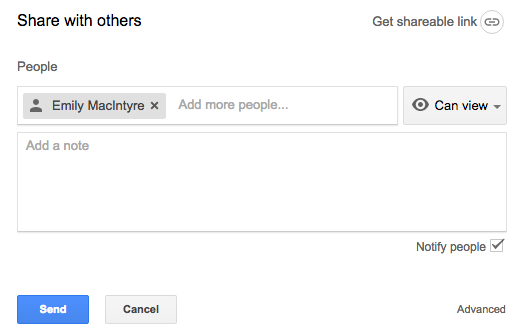 It's easy enough to create a new Gmail account for free. If you're interviewing for a technical job, you might consider using or creating an email address associated with your own custom domain to show you know more than the average person about the web and technology. Of course, no one ever means to address the wrong company in their resume. But if you're including your intentions as a candidate somewhere on your resume (which we don't recommend, by the way; see #10), then you need to get it right. 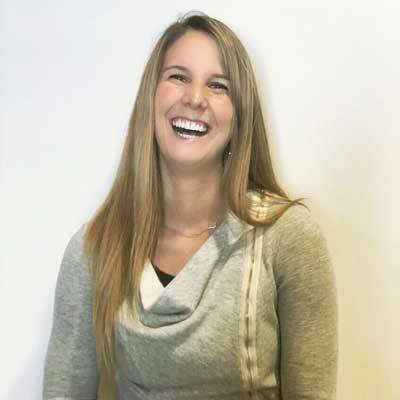 "It's unfortunate when a candidate has a good resume or cover letter, but don't proofread and put in the wrong company information," says Emily MacIntyre, Senior Marketing Recruiter here at HubSpot. Getting this right goes beyond proofreading; it means paying attention to the details of the transaction. Customizing your resumes to different companies is expected, but you need to make sure you're sending the right resumes to the right companies. One tip is to save your different resumes with the company name in the title, like Kolowich-Resume-HubSpot. 4) When you get a little too creative with your fonts. Recruiters are going to notice the font and formatting of your resume before they even start reading it -- which is why it's important to choose a font that's easily readable and professional. The most common resume font is Times New Roman, in size 12-point font and black. It's a serif font, which tend to look more professional because they have what’s called “tails” on the letters. These tails make the letter look less block-like than sans serif fonts. 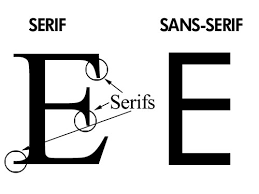 Serif fonts other than Times New Roman that are great for resumes include Georgia, Bell MT, Goudy Old Style, and Garamond. If you really want to use a sans serif font, try Arial, Tahoma, Century Gothic, or Lucida Sans. Check out this infographic for some more guidance on what makes a good resume font. Oh, and only use one font. Using two fonts looks a little messy and unprofessional -- and, worse, it can even look unintentional. The only exception here is for designers. "I've seen some really wild, creative, and awesome resumes from designers, and since that's their craft, I encourage that," says Sean Marsters, Senior Product Recruiter at HubSpot. 5) When your high school is still on there. Unless you're in high school or college, you can leave your high school off of your resume, says Marsters. He says that college graduates with minimal experience might be able to get away with it, but to most recruiters, it ends up looking like filler information. The only exception here? If you connected with someone through your high school alumni network. In this case, you'd only want to include it in a resume that you send directly to that person. Otherwise, it could be seen as filler information. Pro Tip: Three to five years after college or graduate school graduation, you can actually move your "Education" section to the bottom of your resume. Again, the only time you wouldn't want to do this is if you connected with someone through an alumni network, or if you know an executive there also went to your school. 6) When you have two degrees, but only one GPA. If you have a college degree and a graduate degree, don't only list the one GPA you're proud of. This calls into question why you've only listed one GPA, and so obviously left the other one out, explains HubSpot's Recruiting Team Lead Dave Fernandez. 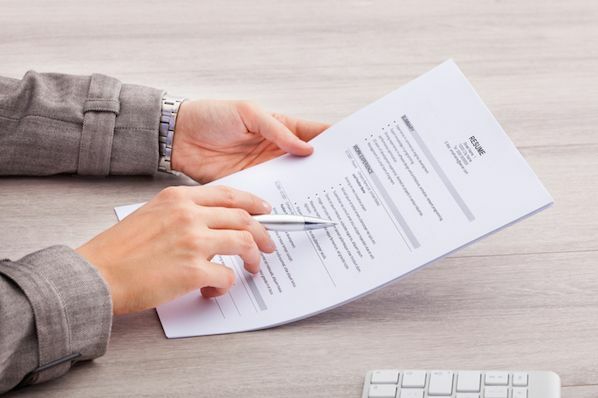 The benchmark for being able to remove GPA from your resume altogether is five to seven years after graduation, which is when candidates tend have a solid track record of employment, says Andrew Quinn, VP of Learning and Development at HubSpot. "But if you did well in school but had lackluster job prospects following graduation because of, say, a bad economy, you could definitely leave it on longer.” It goes both ways, he explained: If you had great jobs and accomplishments following graduation but didn’t have a good GPA, consider removing your GPA earlier. Just don't remove one and not the other if you have multiple degrees. 7) When you list every piece of technology you've ever touched, seen, heard, smelt. In the technology industry, it's very common for recruiters to see candidates listing out experience with all the technology they've ever heard of. But unless you've cut and edited videos extensively, you can't really put "Final Cut Pro" on your resume. "Unless you're confident in your skill set and experience in that area, don't add technology just to add fodder," says Marsters. Same goes with languages you speak, or your college classes. "College students shouldn't feel the need to list out every single class they took at school. In fact, you don't need to add any classes -- but it's OK if you want to list a few important ones relevant to the job you're applying for." Pro Tip: Unless you can hold your own in an interview on the subjects you're listing, leave them out. 8) When you're "Proficient in Microsoft Word, Excel, and PowerPoint." Almost every single candidate feels the need to include this phrase on their resume -- but recruiters hate to see it. Basic proficiency in Microsoft Office Suite is assumed for college graduates these days. "Unless you can run pivot tables, VLOOKUPs, and complex data modeling out of Excel, then don't include proficiency in Excel on your resume," says Marsters. "Writing a 500-word essay in Word and sorting a column in alphabetical order in Excel does not count as proficiency in those systems." Pro Tip: If you want the Excel chops to be able to include it on your resume, here are the 10 best resources for learning Excel online. 9) When the formatting is all over the place. Is your formatting consistent across all positions? For example, if you're bolding job titles, are all job titles bolded? Are all items properly aligned? For example, if you've right-aligned dates, are they all lining up in tandem with one another? 10) When you start off with a generalized summary. Unless a company specifically asks for a summary at the top of your resume (which is doubtful), you really shouldn't include one, says MacIntyre. They're too easy to screw up -- this is a place where candidates have put the name of the wrong company. Plus, they usually come off sounding stuffy and insincere. Instead, lean in to a "Key Skills" section either at the top or bottom of your resume, in column format, that highlights the top six to nine skills applicable to the role you’re applying for. Be sure to change these skills for each job -- and remember, leave out Microsoft Office Suite unless you're truly proficient. Pro Tip: Although you should leave this section off your resume, you should write something in the "Summary" section of your LinkedIn profile. Use this section to write out specific skills and achievements, link to your portfolio or blog, and talk about awards you've won or projects you've worked on. The information and skills on here should be applicable to where you’re headed in your career, not irrelevant past skills. 11) When you use the pronouns "I" or "my." Resumes are not the time to be using pronouns like "I" or "my," says MacIntyre. However, you should still use first-person, not the third-person, when conjugating your verbs. This is tricky to explain. Here's how I think about it: Don't use the word "I" in your resume, but assume the word "I" when you conjugate your verbs to ensure they're in the first-person. So if you want to write that you develop promotional materials in your current role, write "Develop promotional materials," as in "I develop promotional materials" -- but without using the pronoun "I." 12) When your verb tenses are wrong. Speaking of verb conjugation ... make sure all of your verb tenses are in the past tense for past positions, and in the present tense for current positions. Verb tense is evidence of attention to detail, which is important for any job -- especially if you're applying to a job where attention to detail matters, says Quinn. Current position: "Develop promotional materials." Past position: "Developed promotional materials." The exception here is if you're talking about something that you did in your current position that "ended" in some way. For example, you'd use the past tense to write "Earned a spot in President's Club for achieving XYZ" because it's something you did that had a finite ending. 13) When you list your responsibilities, but not your accomplishments. Sure, it's helpful for candidates to list out what they were responsible for doing in their job. But it's way more interesting to learn the results the candidates actually drove -- and putting down more responsibilities than accomplishments is a red flag. Here's a great example: "Instead of writing 'Handled all monetary transactions,' write 'Increased revenue by X% year-over-year, resulting in promotion to Senior Account Manager and entrustment with enterprise-level deals,'" says Fernandez. "The latter is much more telling." Drove 37% improvement in newsletter clickthrough rates by rewriting sales copy. Grew ecommerce sales 23% in just 6 months by redesigning and A/B testing all landing pages. 14) When you list outdated or irrelevant experience. A resume isn't a place where you just tack on a new section every time you add a new job or volunteer opportunity. You should be picky about which roles, skills, experiences, and accomplishments you include -- all based on the role you're applying for. So unless you're applying for a job that requires lifeguarding skills, you can leave out your summer lifeguarding job from college. If you're further down your career path, list the more recent roles you've had that complement the job you're applying for. The only exception here is if you're still in college, or you're a recent college graduate with limited experience and you need to "fill out" your resume a little bit. In that case, don't just write that you were responsible for monitoring the waters for people in need of saving; glean relevant skills, such as learning how to resolve challenging, ambiguous situations. 15) When there are large chunks of text. It takes hiring managers all of six seconds to scan your resume before deciding whether they're interested in you. If they see large chunks of text that aren't broken up by bullet points, it'll turn them off big time. Who likes reading large chunks of text? It's the same reason bloggers use headers, bullet points, and other formatting tricks to break up long blog posts. It all comes down to making it easier for people to like reading your stuff. Make sure you're using bullet points to list out your accomplishments underneath each position, and limit them to five or six bullet points per post. The order of your bullet points matters, too: Put the most important, relevant, and impressive ones first. 16) When it's ridden with buzzwords and meaningless clichés. So you're a hardworking team player with exceptional problem-solving skills? That's cool, but ... what does that actually mean? Anyone could write this on their resume. (And believe me, they do.) It's meaningless. You need to give solid examples that are sincere, BS-free, and backed by evidence. For example, let's say the job you're applying for is asking for someone with a strong knowledge of the marketing lifecycle. Use your resume as an opportunity to showcase this -- but don't just write, "Developed a strong knowledge of the marketing lifecycle." Write "Developed a strong knowledge of the marketing lifecycle and consumer journey through researching and writing in-depth articles on topics including SEO, content marketing, email marketing, branding, social media, and more." Same goes for corporate buzzwords: Leave them out. Sweep your resume for annoying jargon and business babble, and replace these phrases with clearly articulated ones that make it clear to the recruiter what you did and how you did it. 17) When you don't explain your gaps. 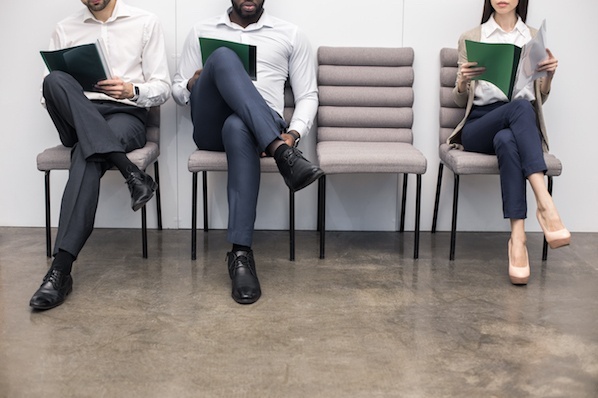 Most of you know already that gaps in employment are red flags to recruiters -- but that's only true when you don't explain them. If you took longer than six months off of work, you may want to explain the gap on your resume -- perhaps in italics or parenthesis. “Travelled abroad.” “Took time off for family.” “Took time off for personal reasons.” They just want to see a rational explanation -- that you were doing something productive with your time, not just hanging out watching Netflix. If you'd rather leave your resume for the meat of your relevant experiences, you choose to address a gap by including a note in your cover letter or in the email you send to the hiring manager that your resume is attached to: "You'll notice that there is a year-long gap between X and Y jobs. I'm more than happy to explain that further." Either way, be honest about it. If you're upfront, you'll seem trustworthy instead of fishy. 18) When it's inconsistent with your LinkedIn profile. If a recruiter is interested in your resume, chances are, they'll look at your LinkedIn profile alongside it to learn more about you -- and check for discrepancies. Make sure you're updating your LinkedIn profile at the same time you're updating your resume. The two don't have to be identical, but they do have to be consistent. Pro Tip: Don't want to tip off your current colleagues that you're on the hunt for a new job? To make sure your LinkedIn profile edits aren't broadcast to your network, log in and move your cursor over "Profile" at the top of your homepage, then select "Edit Profile." Find the box on the right-hand side of your profile that says "Notify your network?" and toggle the button so it says "No." 19) When you get a little too crazy with the formatting. Standing out from the crowd is a good thing, especially when you're competing with hundreds, even thousands of applicants with a single piece of paper. But there is such thing as getting too crazy with the formatting. While recruiters have seen some really cool resumes -- particularly from designers -- sending a resume that strays far away from the normal resume format is a risk. If you're willing to take the risk, gut check with a friend before you send your work in. But if you opt for a regularly formatted resume, that's perfectly OK. There are a few, subtle ways to make it stand out from looking like literally everybody else's. "You could stand in line at a college career fair and see 200 resumes in a row that all look the exact same," says Marsters. "Recruiters don't want to see word clouds or calligraphy, but it doesn't hurt to find subtle ways to stand out from the crowd," says Marsters. "Start by staying away from the top three options when punching 'resume format' into Google." 20) When it's basically a novel. Remember how nobody likes to read a ton of text? Recruiters don't want to flip through multiple pages to read about your experiences. A good rule of thumb is to limit your resume to one page for every ten years of experience. Chances are, recruiters won't even get to page two -- but if you absolutely must bleed onto another page, then definitely don't exceed two. If you're having trouble cutting your resume down, think about tip #13 and make sure any outdated or irrelevant work experience is cut. You might also consider cutting your education section if you're more than five years out of college or have a lot of solid, relevant experience. 21) When you pair it with unprofessional email copy. There are a lot of jobs out there that ask people to apply via email. But think about how many emails those recruiters get. Do you think they actually open the resumes in every single one of those emails? Not a chance. What you write in that email will make a huge difference in whether or not the person you send it to actually opens your resume and gives you a shot. That's why you have to spend time crafting an email that's concise, professional, and makes you sound appropriately enthusiastic about the position. Your subject line should make it totally clear what the content of your email is -- something like "Application: Content Writer". As for the email itself, clearly state the position name and team you're applying for. Write 1–3 sentences explaining why you think you're good for the position and why you're excited about the role. Then, end with something like, "I've attached my resume in case you'd like to learn more about my background and experiences. Feel free to contact me by email or phone [give phone number here] with any questions. Thanks for taking the time to read my application." And finally, don't forget to name your resume attachment something clear and professional, like Kolowich-Resume-HubSpot. What do you absolutely hate seeing on a resume? Share with us in the comments.